Botswana lies at the heart of Southern Africa, covering almost 582,000 square kilometres of which 39% is set aside for national parks and private concessions. The country offers extreme comparative ecosystems, from the lush, well-watered green lands of the Okavango Delta, to the harsh arid scrubland of the Kalahari. Whilst animals wander freely across vast reserves, Botswana is home to fewer than 200,000 people, thus its wild places remain relatively undisturbed by man. Stone Age tools discovered at Makgadikgadi Salt Pans, San paintings in the Tsodilo Hills and the ancient riverbeds of the Savuti, give a glimpse into Botswana’s enticing history, scarcely altered under British colonial administration, which concluded in 1966. Botswana, once one of the poorest countries in Africa, made a timely discovery of diamonds that transformed it into one of the fastest growing economies in the world. The government quickly evolved into a beacon of stability and prosperity, a true African success story. 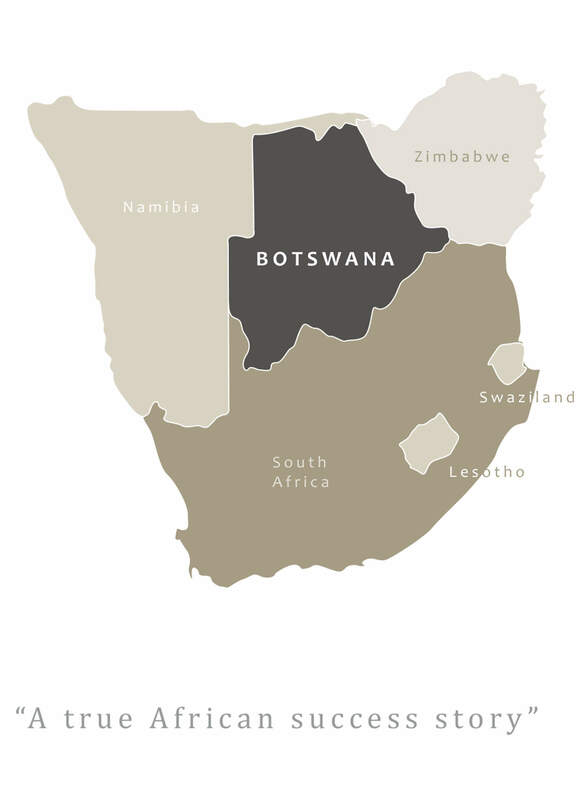 Botswana is defined by democracy closely aligned with the western concept is the traditional tribal kgotla or traditional law. The people of Botswana exude a sense of national confidence and pride, reflected in their approach to tourism. The thriving eco-tourism industry is the envy of the continent and the government’s philosophy of low impact is achieved by minimizing numbers at a handsome price. The highly sophisticated approach and emphasis on high-end travel ensure that Botswana remains the African destination for the true safari connoisseur. Botswana is exciting within the comfort of familiarity, however, scratch deeper and this land of staggering beauty consistently assures unsurpassable experiences and adventures. The opportunities to view authentic wildlife interactions are second to none, with more than 160 species of mammals and 600 bird species. Little known and virtually unexplored, Chad is an extraordinary place and this journey will resonate with you on so many levels - from travel through to conservation. 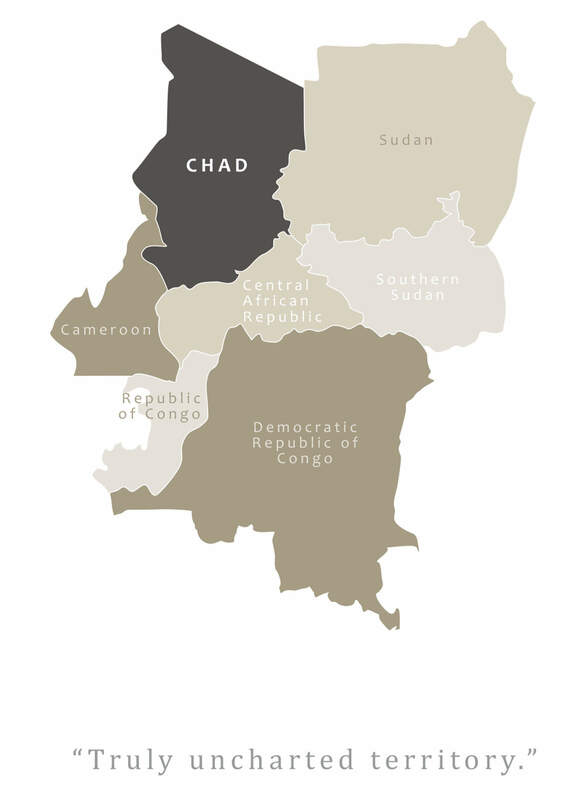 Chad is a large country. It is 317.3 million acres making it the 7th biggest country in Africa. 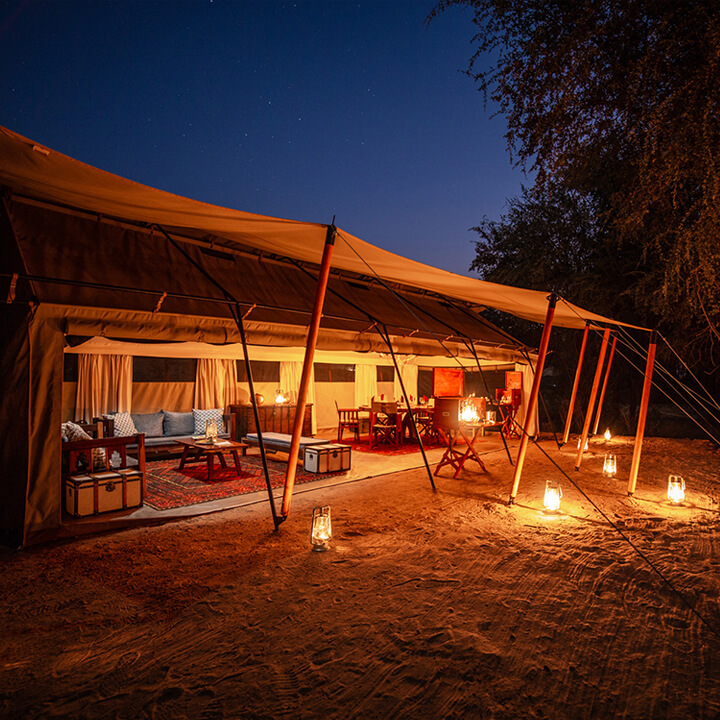 Chad may not be the first location that springs to mind for a safari, but the wild experiences this remote and relatively untouched destination offers are unparalleled. The nomads en-route are a sight to behold, animals are seen on mass and the landscapes breathtaking. 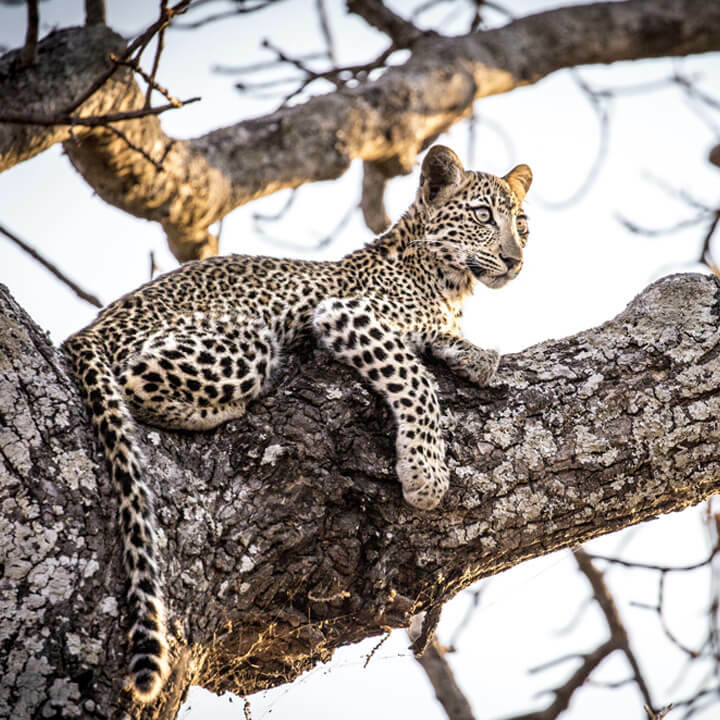 Set in the heart of Africa it has been plagued by political strife and national security issues for years but is now celebrating a major conservation success story: Zakouma National Park. Chad’s government pledged to protect the flora and fauna of this stunning area with the help of African Parks. N’Djamena is the capital and largest city in Chad. There are few traditional tourist sights, but the markets are amazing and the people incredibly friendly. Beyond the capital and deep into the Sahara ar Ennedi there is a vast collection of sandstone mountains sculpted by the wind and sand over millennia into stunning rock formations. A land of spaces and silence occasionally interrupted by the procession of camel caravans traversing the sands. A magical region. Here you enter the land of the nomadic and secretive Toubou (rock people), one of Africa's most traditional, and least known tribes who live in the Tibesti Mountains, a range of inactive volcanoes. Lake Chad holds the largest body of water in the Sahara and is a magnet for the nomadic Bororo shepherds after the rains. With over 120 languages spoken the nomadic tribes themselves are a worthwhile reason to visit Chad. 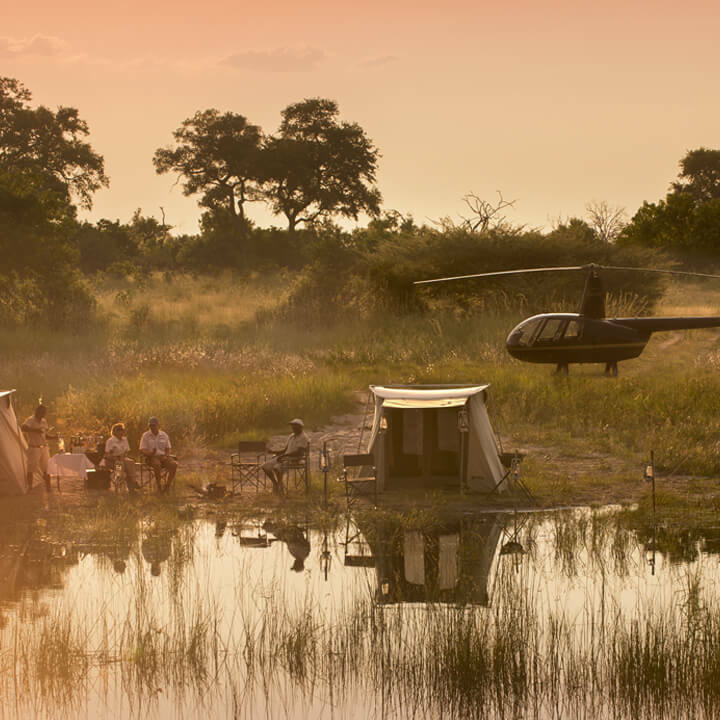 From arriving by light aircraft and seeing wildlife as you travel, to fly camping next to a waterhole and witnessing hundreds of bird species, you will enjoy intimate wildlife encounters throughout. A journey for the intrepid safari enthusiast. A destination for intrepid travelers; explore the heart of Africa, great apes, mountain rainforests, fiery volcanoes, and snow-capped mountains. The Democratic Republic of the Congo (also known as the DRC) is located in equatorial West Africa. Dominated by the planet’s second-largest rainforest, which sprawls across 500 million acres of Congo River Basin, with glacial mountains and savannah elsewhere, the DRC is enormous and supports a staggering range of wildlife and cultures. 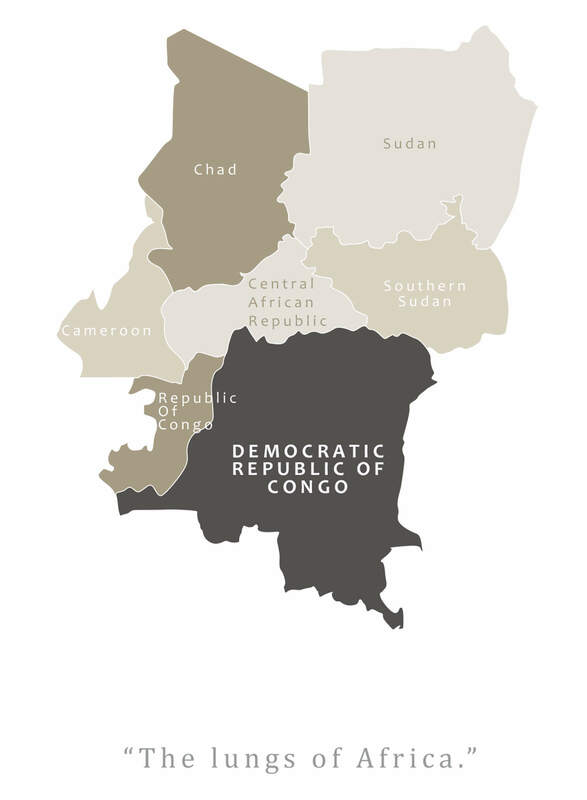 It’s no secret, of course, that the DRC has suffered tumultuous ups and down over the course of its long history - a history that stretches back some 80,000 years. Fortunately, the DRC is enjoying a period of considerable peace and stability, even in the historically volatile east, and the growth of tourism is only helping to consolidate, its economic and cultural benefits clear. This is great news as DRC really is a stunning country. From the vast urban sprawl of Kinshasa, with its high-end hotels and restaurants, to smaller conurbations like Goma in the east, as well as the fact that much of Africa’s most popular music comes from the country, there’s plenty of proof that the DRC isn’t only for nature-lovers. Culturally, the Congolese have rich traditions that remain important in their modern day world and a real sense of character and charm owing to their French colonial heritage. French is also the national language, but there is a strong sense of African identity that coexists alongside this, no more evident than in the capital city of Brazzaville, where the hustle and bustle of market life prevails. Nearly 150 distinct ethnic groups exist and the region’s Ba’Aka people are among the most well-known representatives of an ancient hunter-gatherer lifestyle. The jungles and the foothills of the volcanic peaks are famous for their primate population, as well as okapi, giraffe, and elephant, and the forests also offer an abundance of birdlife. There’s a different type of battle being fought, where rebel insurgents and the hunt for oil threaten the precious mountain gorillas. 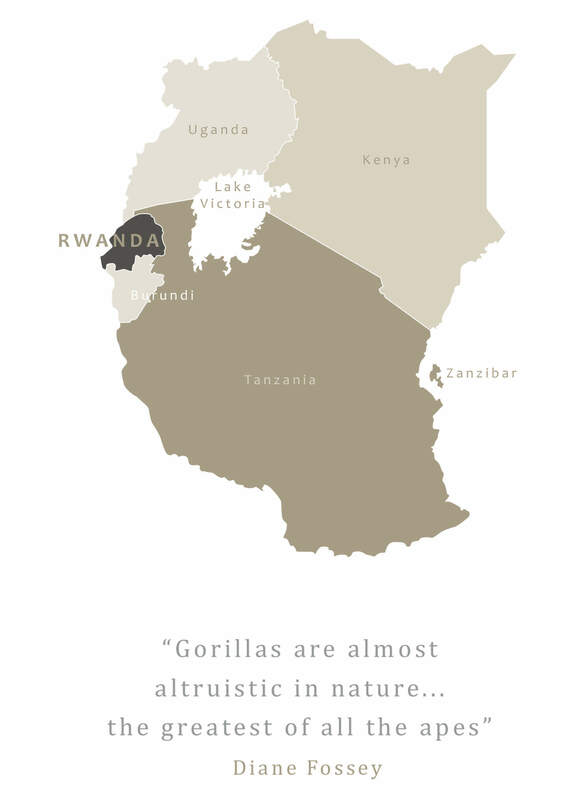 Emmanuel de Merode, director of Virunga National Park, is helping to save one of the planet’s most extraordinary ecosystems, by inviting the world in. Ethiopia is a very different kind of Africa to the Africa imagined by most tourists, yet it is truly majestic and deeply fascinating. Not only did Christianity reach Ethiopia before much of Europe, but its short colonial history offers a unique window into an African past largely devoid of European influence. Ethiopia has an incredible ancient history with many noteworthy hominin fossils, such as ‘Lucy’ pointing to the earliest examples of human existence. Today it is the most populous landlocked country in the world with approximately 85 million people distributed amongst 80 different ethnic groups. 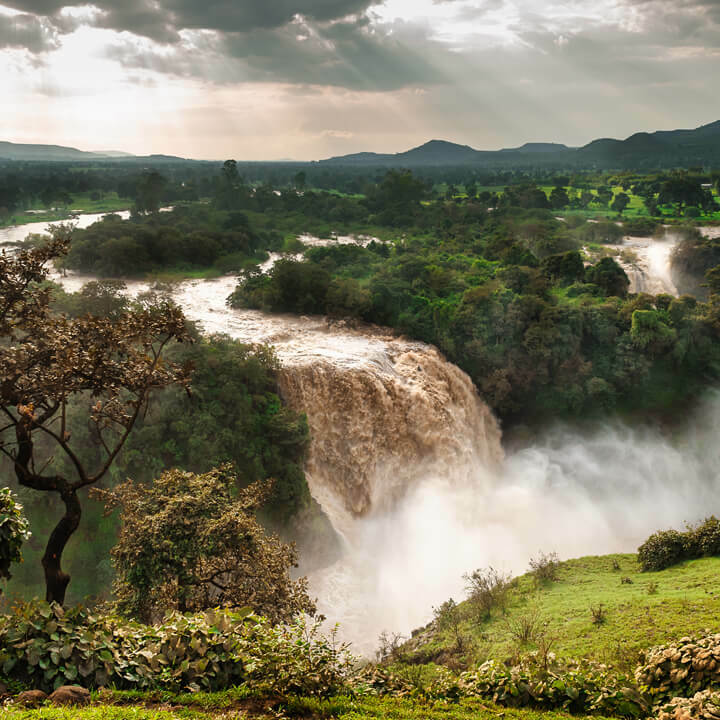 Ethiopia is home to the mighty Blue Nile and contains 80 percent of the river system’s flow as a whole. A landscape of extremities creates the drama of the Ethiopian scenery; from some of the highest mountains in Africa to its lowest points as the high central plateau is divided by the Great Rift Valley. However, being one of the hottest places on Earth, it is not for the faint-hearted. the extraordinary rock-hewn churches of Lalibela and perhaps most mysteriously of all, the church of St. Mary of Zion - probable location of the Arc of the Covenant, all contribute to the depth and complexity of this truly iconic land. The uniqueness of the Ethiopian experience is described in its ancient monuments, remote tribes, unique wildlife, and remarkable vistas. Ethiopia is not for the luxury safari seeker, rather it rewards the traveler errant with an unparalleled sense of discovery, rare and humbling scenery and a range of thought-provoking episodes that are truly life-changing. 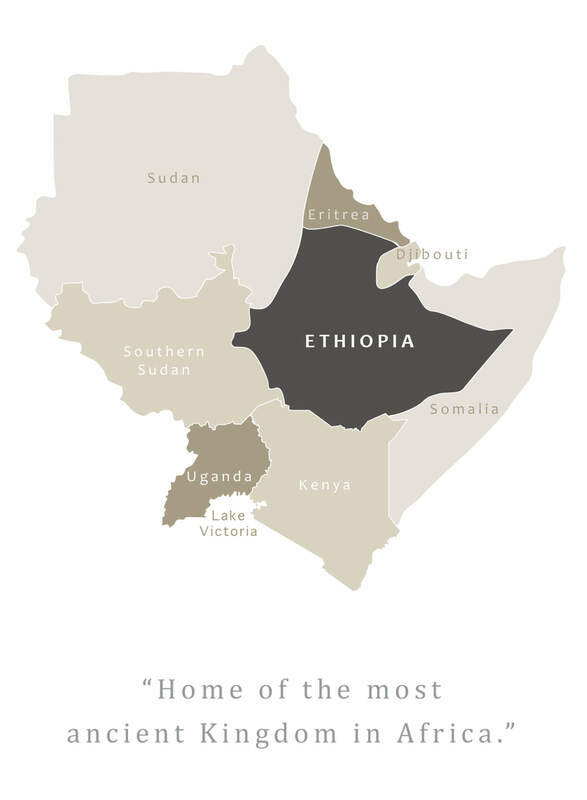 Ethiopia, land of churches, breathtaking scenery, and extraordinary cultural splendor. “A journey into the historical origins of Ethiopia is quite literally a journey into the origins of ourselves” - Sandor Carter, Safari Guide. A nation of only a tiny human population, Gabon has an identity among the most secure countries in Africa. 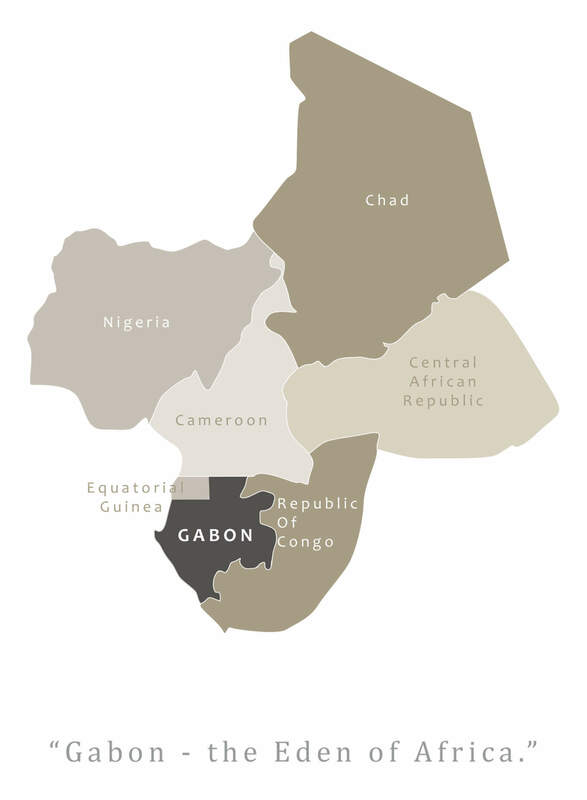 Attaining independence in 1960 from the French, Gabon has remained the envy of its neighboring countries with the 3rd highest yearly revenue per individual on the entire African continent. Cosmopolitan Libreville (the capital) is ranking as one of the world's most expensive cities. With a 3rd of its gross domestic product (GDP) obtained from oil, Gabon has recently realized that it actually offers more to the world. The president His Excellency Omar Bongo, has created 13 national parks in Gabon that comprise more than 11.25% of its area - the second-highest proportion of national parklands in the world. forests, while hippos, whales as well as turtles can be seen along the coastline. There are countless cascading falls, sometimes falls are even 1 kilometer wide. With a large amount of rainforest in Gabon, there are obviously a huge number of birds. With over 670 different species identified in the country, some endemic or regionally endemic, tourism in Gabon is still taking off and so visitors have been known to make significant discoveries surprisingly often. Nowhere else in the world can you see hippos in the surf and elephants wandering the seemingly endless shoreline, even whilst fishing the nearshore waters for tarpon. But, that’s not all! Gabon also has a vibrant cultural scene, with diverse ethnic groups, tasty dishes, and a vibrant music scene. This is Africa untamed and an exceptional wildlife destination for intrepid explorers.  “SAFARI’ is the Swahili word for ‘a journey’ and Kenya evokes nostalgia for the earliest origins of the African safari. Romance and adventure are plentiful in the classic stories told in 'Out of Africa’ and ‘Born Free’, illustrating Kenya’s scenery, wildlife and people, which have enduring appeal. 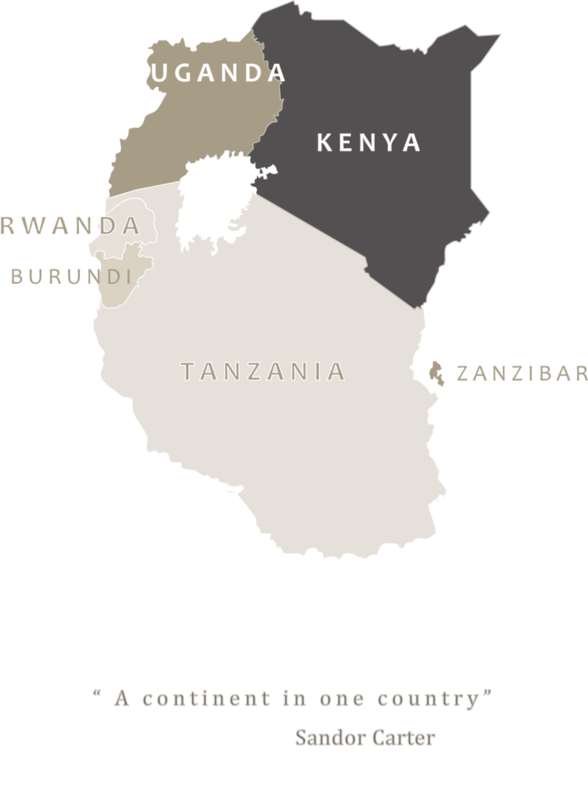 Kenya is a sovereign state achieving political independence from the British in 1963. Since, anxious times have been defied, mainly due to its dynamic people who are amongst the most colourful in East Africa. Friendly and hospitable, the Kenyan people rely heavily on tourism. Located on the east coast of Africa, the Equator bisects the country resulting in a tropical climate, although diverse geography provokes wide variations in temperature, rainfall, and humidity. In relation to size, the assorted landscape is unparalleled and the multitude of national parks and reserves all have their own unique attractions. Marine reserves boast coral reef gardens with palm fringed beaches and turquoise oceans, while the savannah grasslands exhibit quintessential depictions of imagined Africa, harsh trackless expanses, solitary flat-topped acacia and incredible concentrations of plains game. Kenya remains one of the best places in Arica to see great wildlife – lions, elephants, leopards and of course the annual ‘wildebeest migration’ streaming into the Masai Mara from Tanzania. The East African Rift Valley runs through the country from top to bottom and provides straining landscapes of giant volcanoes, hot springs and flamingo sprinkled lakes. Dominated by Lake Turkana, the ancient source of the Nile the Rift Valley lakes are some of the most picturesque in Africa. The formation of the Rift created Mr. Kenya, the second highest peak in Africa, some three millions years ago. “The spiritual home of safari, Kenya is where it all began. From the big cats of the Mara to the elephants of Amboseli, combined with traditional tribes, real tented camps, and an unparalleled physical diversity, Kenya has it all"
Madagascar is a place all on its own with a touch of Africa, teeming with friendly lemurs, colorful chameleons, and other exotic discoveries. Around 160 million years ago Madagascar separated from the eastern coast of Africa and subsequently detached from all other landmasses, leaving its ecology to evolve completely independently from the rest of the world. This natural isolation means that over 80% of the country’s flora and fauna exist nowhere else on the planet, making Madagascar a truly special place and a naturalists dream come true. These unique ecosystems are spread over a wide variety of terrains and microclimates; the center is characterised by highlands, the east coast is covered in rainforest, the west is open savannah and the southern tip is semi-desert. While the climate is largely tropical, there are distinct variations according to altitude and other geographical and geological factors. 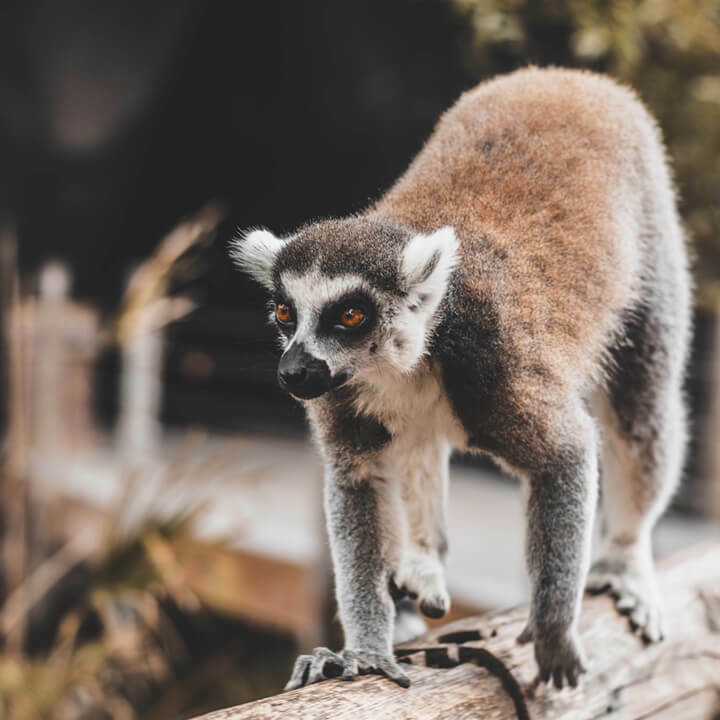 The ethnicity of the island is predominately Austronesian and East African Bantu with some Arab influence, however, the most famous endemic inhabitants on the island are the lemurs - 99 different species in all shapes, sizes, and hues. There are over 12,000 species of plant including 170 different species of palms, 960 orchid species and 6 of the world ’s 8 different baobabs. Madagascar’s wildlife rates amongst the best in the world in terms of diversity, abundance, and approachability, it is simply impossible to convey the scale of the extraordinary natural bounty found on this island. Tropical Africa as a whole has only 3 times the plant species in an area 35 times larger the size. The conservation of the island’s biological resources is key to its national development, if ever there was a place to support eco-tourism, it would be here. Combining lemurs, shockingly beautiful coastlines, diving, and extraordinary landscapes, with Malagasy hospitality, a safari to Madagascar is a wonderful adventure that will appeal to the naturalist and inner explorer. From the sophisticated South to the final-frontier North, Mozambique is a mysterious, magical place of dreamy beaches, fabulous diving, offbeat safaris and spectacular island lodges. Located on the southeast coast of Africa, Mozambique is an enormous country encompassing nearly 199 million acres with a coastline stretching roughly 2,500 kilometers along the Indian Ocean. The area was first discovered by Vasco de Gama in 1498 and colonized by the Portuguese in 1505. 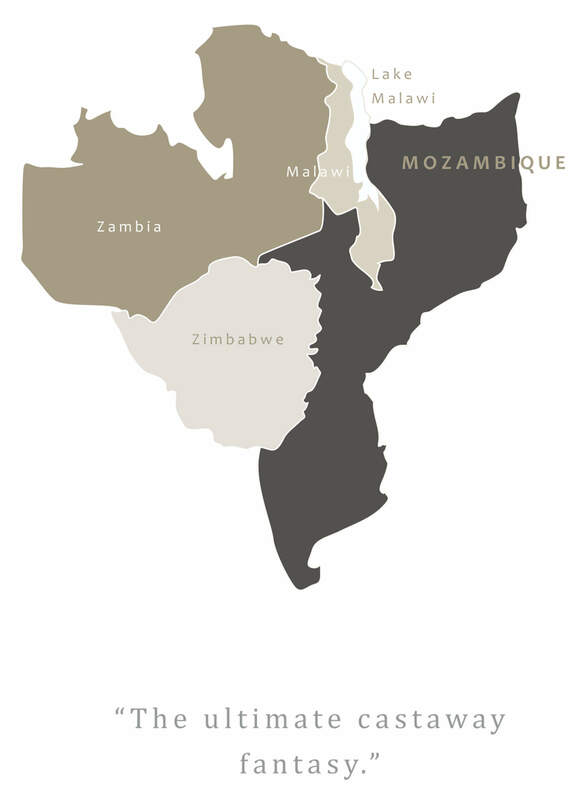 In 1975, Mozambique was granted independence and became the People’s Republic of Mozambique. For 2 decades, however, Mozambique was inaccessible due to a protracted Guerilla warfare but since 1992, the Mozambicans have toiled to rebuild the infrastructure and embarked on one of Africa’s largest conservation projects to date in the Gor ongosa National Park. The Portuguese colonial and linguistic heritage can still be felt in the capital of Maputo, a fascinating and colourful city with an upbeat tempo that incorporates both modern and traditional cultures. Cobbled streets and stately colonial-era buildings juxtaposed with urban pavement cafes alive with Marrabenta (Mozambican dance music) make it one of the hottest, chic cities in Africa. Known as ‘the home of smiles’, Mozambique is home to 21 million people, who are warm-hearted and welcoming to their non-commercialised country. Mozambique is fast becoming a rising star in international tourism offering spectacular scenery, remote wilderness, excellent water activities and some of the world’s best diving. It has so much to offer those who venture here: long, dune-fringed beaches, magical offshore islands, turquoise waters abounding in shoals of colourful fish, well-preserved corals, remote archipelagos in the north, pounding surf in the south and graceful dhows with billowing sails. 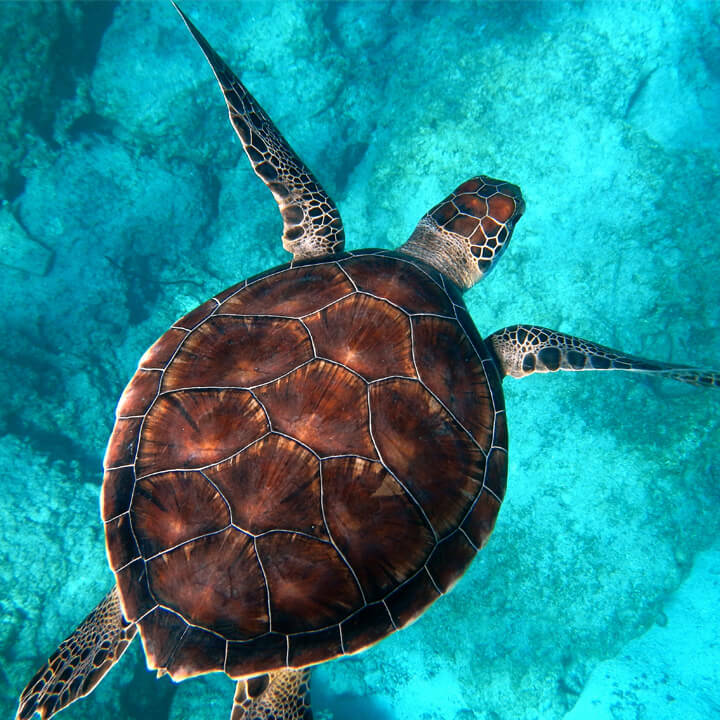 The south boasts dramatic sunsets over sand dunes and lush coastal bush teeming with indigenous birdlife, whilst the north is one of the most bio-diverse marine areas in the world. Add to this colonial-style architecture, pulsating nightlife, a fascinating cultural mix and vast tracts of the bush. An untamed land of an endless horizon, huge mountain massifs, spectacular canyons, wreck adorned coastlines and the clearest starry night skies witnessed. 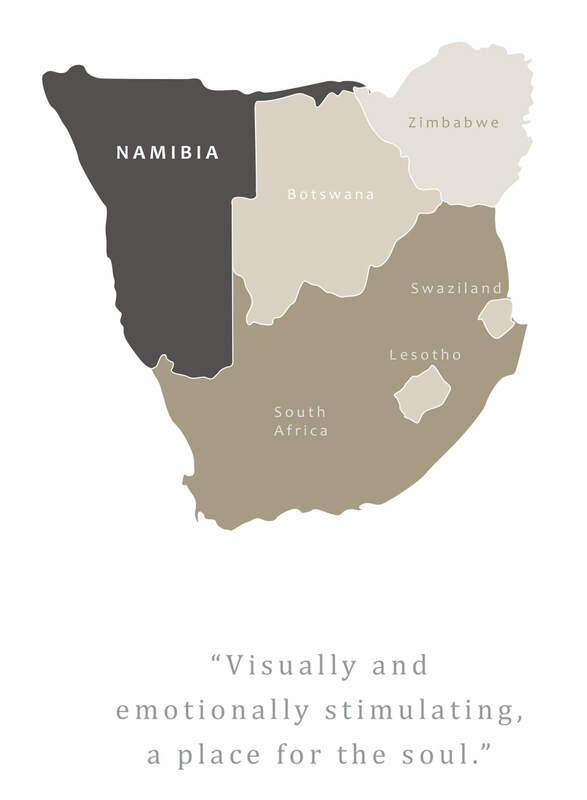 Namibia is located in southwest Africa, astride the Tropic of Capricorn and skirted by the South Atlantic Ocean. The climate is characterized by extremes in temperature day to night, summer to winter. The warm dry inland winds and the cold Benguela Current bring into being a mystical morning fog, which penetrates the otherwise rugged, dry and fascinating landscape. The country remains secluded and remote with a sprinkling of settlements founded by both the ancient and colonial. Namibia has been shaped by recent history; as Germany’s only colony, an influx of German settlers initiated the appropriation of tribal lands causing strained relationships. The subsequent South Africa administration resulted in further deterioration and unrest, however, independence was finally gained in 1990 and the successful transition to a democratic society was swiftly achieved. From the remoteness of the Kachoveld in the north, home of the enchanting Himba, to the Fish River Canyon in the south, the diversity and natural splendour are overwhelming. The timeless Namib Desert is inhabited by unique plant and animal species that have evolved and adapted in fascinating ways to survive in a land of perceived impossibilities. bleached skeletal remains, exhibits the largest land-based seal colony in Southern Africa. 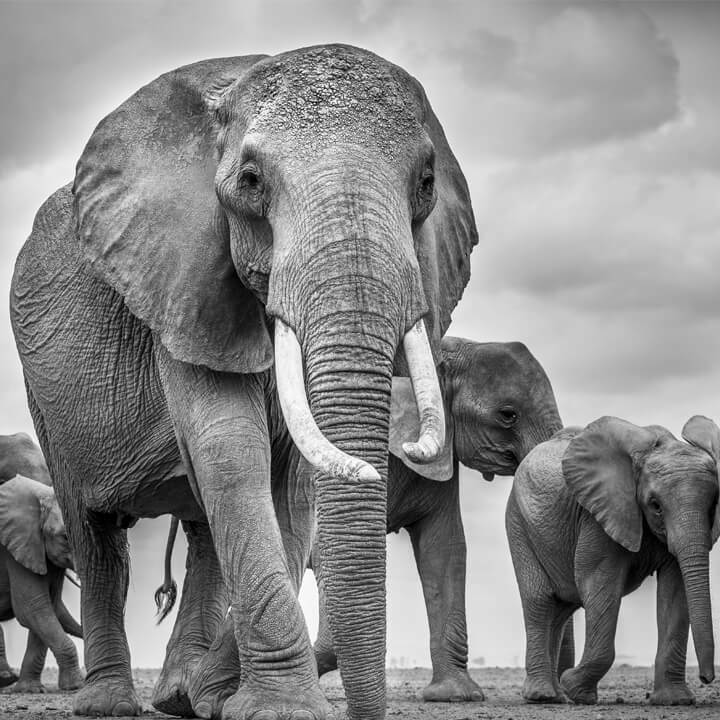 In Damarland reside the captivating desert elephants and Black rhino populations, successfully protected through innovative community conservation endeavours. 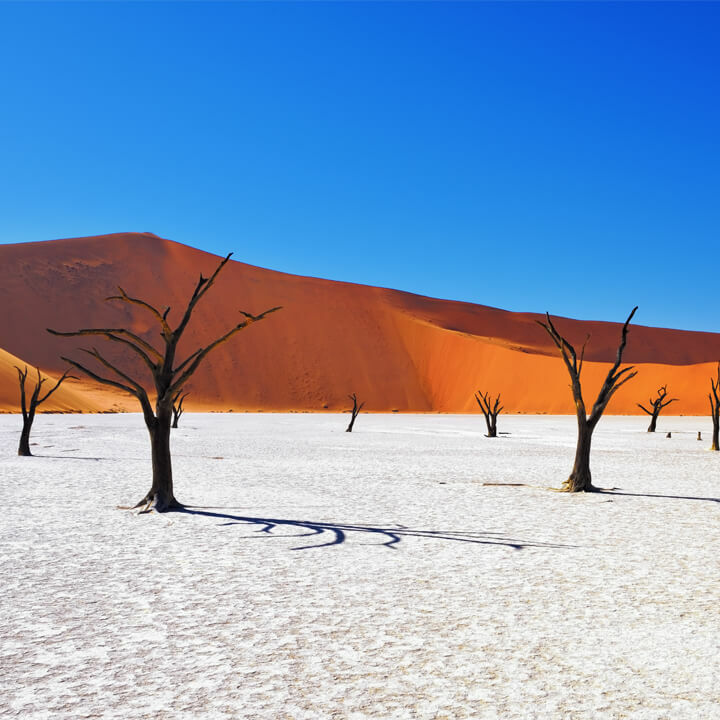 Sossusvlei’s awe-inspiring crescent dunes arise wherever the sand-laden wind deposits, ferrous and strikingly reddish in colour, true sculptures of wind and time. This hauntingly beautiful and intriguing place questions the idea of the conventional safari and inspires visitors to marvel at the forces of nature. The stunning scenery, pristine wilderness areas, and unique wildlife are a recipe for an unrivalled experience. Off the beaten path, Rwanda is the land of hills and lakes, serene scenery and placid people – an extraordinary destination waiting to be explored. 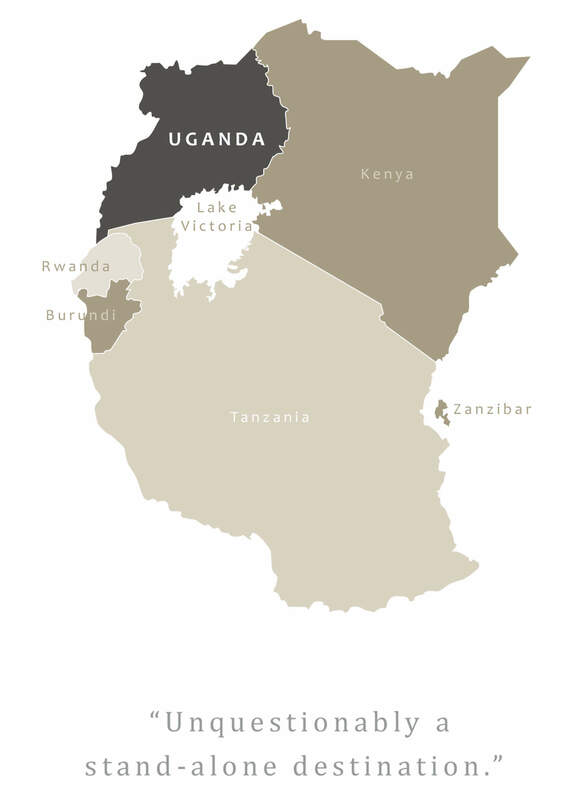 The Republic of Rwanda is a small, mountainous country surrounded on all sides by land that encloses the watershed between two of the largest river systems in Africa – the Nile and the Congo. The high elevation means the climate is temperate, with two rainy seasons and two dry seasons each year, allowing for an agricultural production that is the country’s main economic resource. 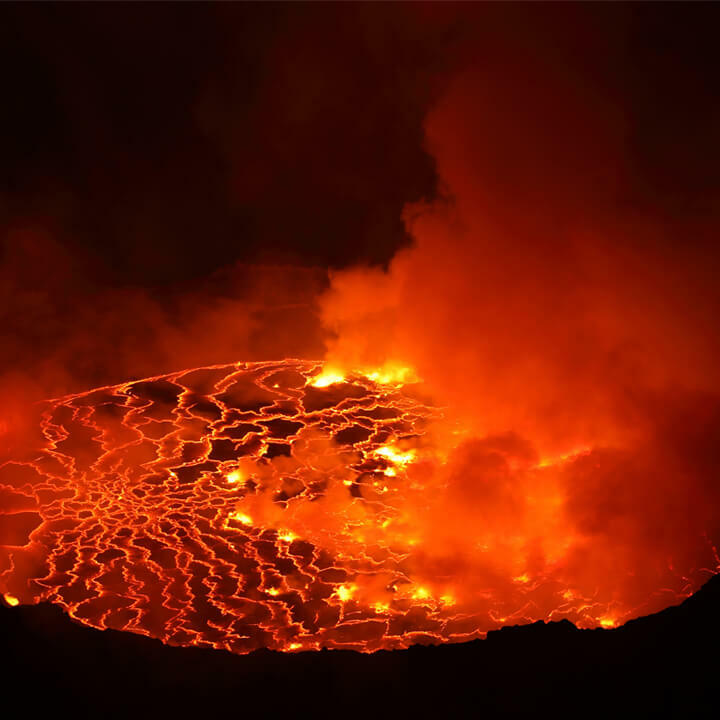 Often referred to as “Pays des Milles Collines” – country of a thousand hills – Rwanda is a far cry from the common conception of the arid and flat drylands of Africa. Rwanda is a country in the ascendancy and is now enjoying political and social stability, after brutally turbulent times in the 1980s. Kigali’s Genocide Museum, a memorial to the 800,000 people that were murdered in the infamous one hundred days, permanently reminds the world of the devastating effect of division, tribal conflict and hatred. It is the most densely populated country on the Continent and the Rwandese are famed for their love of music and dance, especially in a festival or ceremonial context. To witness one of these performances is to really feel the beating pulse of Africa. Nyungwe National Park in the west, boasts 13 species of primates and 280 recorded species of bird life, making it one of the most diverse forest ecosystems in Africa. It is, however, the critically endangered Mountain Gorillas made famous by the work of Dian Fossey and George Schaller and depicted in the movie Gorillas In The Mist that are the main tourist attraction. These majestic and benevolent creatures are found in the forests flanking the slopes of the Virunga Mountains in the northwest of the country. Simply sharing the company of the mountain gorilla is a profoundly moving and thought-provoking experience that ranks on most bucket lists. 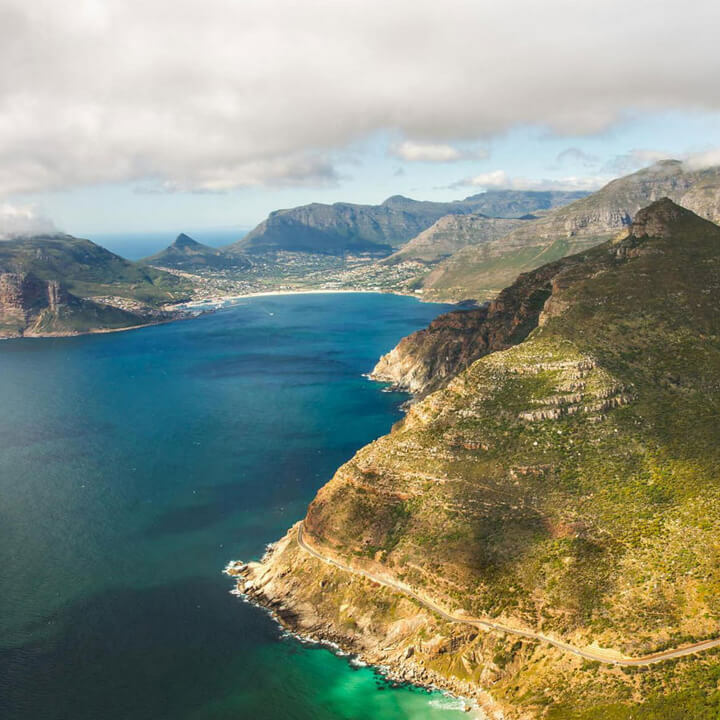 South Africa is a whole world within one country from fish rich oceans to majestic mountains, award-winning vineyards to arid deserts and wildlife-stalked bushveld to tropical forest. South Africa is situated at the southern-most tip of the epic and mysterious continent of Africa. 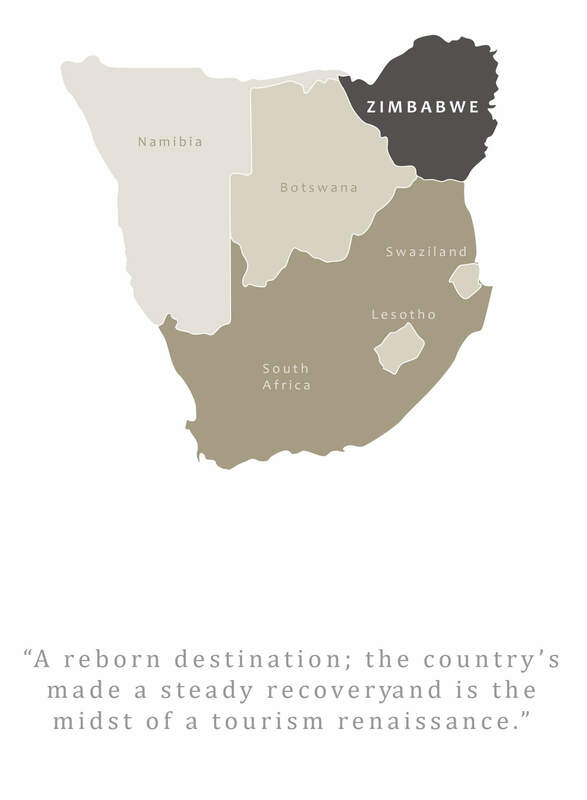 It has a land area of 1.2 million square kilometres that stretches from the great Limpopo River in the north to the Cape of Good Hope and Cape Agulhas in the south. It is here that two great oceans, the Indian and the Atlantic, meet. The interior of the country is a high plateau, separated from the coastline by a chain of mountains giving South Africa an abundance of highly diverse and dramatic landscapes. South Africa has had a turbulent recent history, with the release of Nelson Mandela from a 27-year jail sentence initiating the change from the apartheid regime to a multi-racial democracy. Home to approximately 49 million people, South Africa is a melting pot of culture, race, and ancestry with 11 official languages and 7 different ways of saying ‘South Africa.’ This diversity of languages gives an indication of the exotic combinations that makes South Africa truly unique. This country is the epitome of African culture juxtaposed with the frenetic pace of world progress; a complementary blend of the third world and first world and a dynamic fusion of old-age customs and modern sensibilities. South Africa’s contrasts are not limited to landscape, culture, and people but also found in flora and fauna. 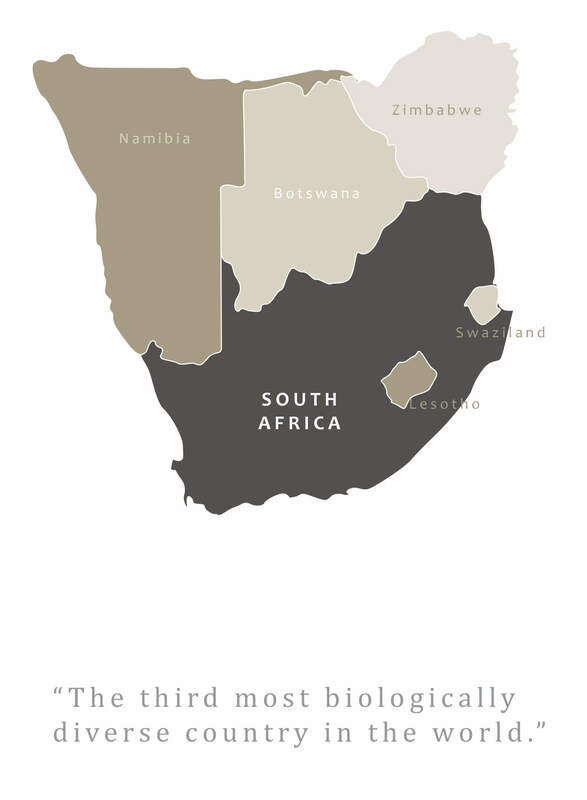 It is a fine depiction of Gondwanan distribution, the third most biologically diverse country in the world and the only country to hose an entire plant kingdom within its borders. The Rainbow Nation is blessed with magnificent, unspoiled natural splendour and rich cultural heritage and is either a destination its own right or the perfect getaway to other African adventures. A land of truly iconic names, Tanzania is steeped in romance; Serengeti, Kilimanjaro and Zanzibar. Tanzania offers the African experience on a truly grand scale. 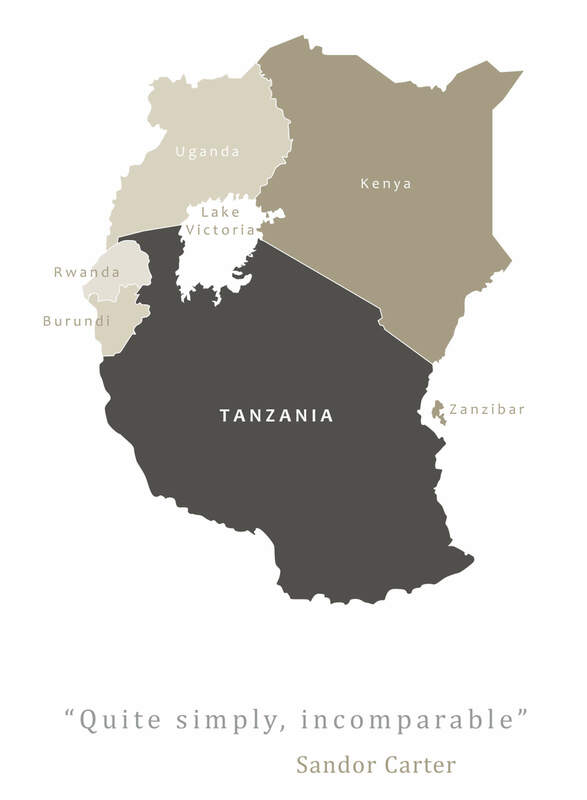 The United Republic of Tanzania is a country of exceptional geographic diversity, from the lofty heights of Kilimanjaro, the tallest free-standing mountain in the world, to the rolling plains of the Serengeti and the tropical beach paradise of Zanzibar, the spice island. Two of Africa’s most celebrated wilderness areas – the Ngorongoro Crater and the Serengeti – are located within northern Tanzania and boast some of the largest concentration of game on the continent. The latter acts as a stage for one of the world’s natural wonders as close to 2,000,000 wildebeest, zebra and gazelle migrate through the Serengeti ecosystem annually. Also located here are the famous soda lakes of the Great Rift Valley, notably Lake Natron and Lake Manyara, which attract a multitude of flamingoes every year. The lesser known areas of the Selous, Katavi, Ruaha, and Mahale flaunt an abundance of animals in the wildest possible settings. These areas exude an aura of untrammeled wilderness, conserved by limited accessibility and truly belong to the animals. 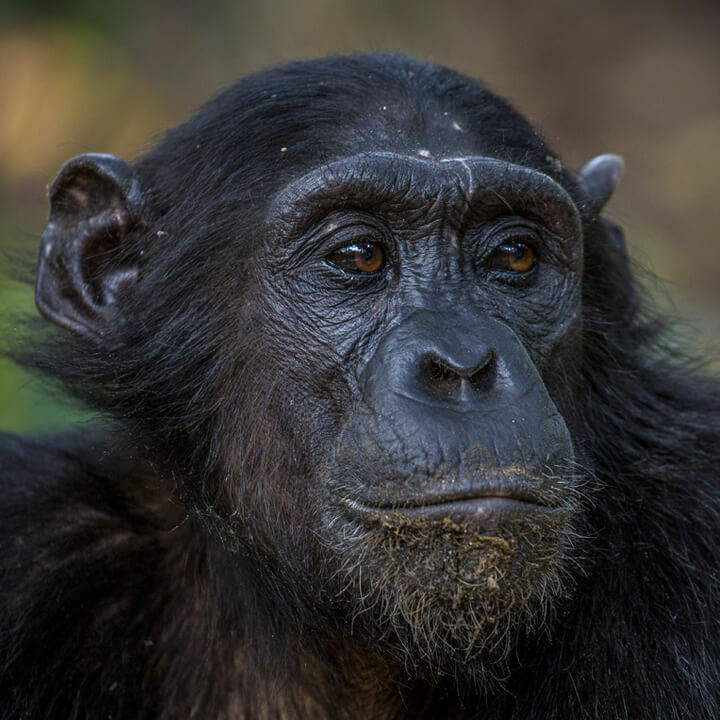 Mahale is situated on the sandy shores of Lake Tanganyika, the 2nd deepest lake in the world and offers an exceptional opportunity to trek with wild chimpanzees in a Robinson Crusoe setting. Tanzania is home to some of the earliest known human development, it was at Olduvai Gorge that the Leakey family made revelatory anthropological discoveries and at Gombe Stream that Jane Goodall began to unlock the secrets of our cousins and our evolution. 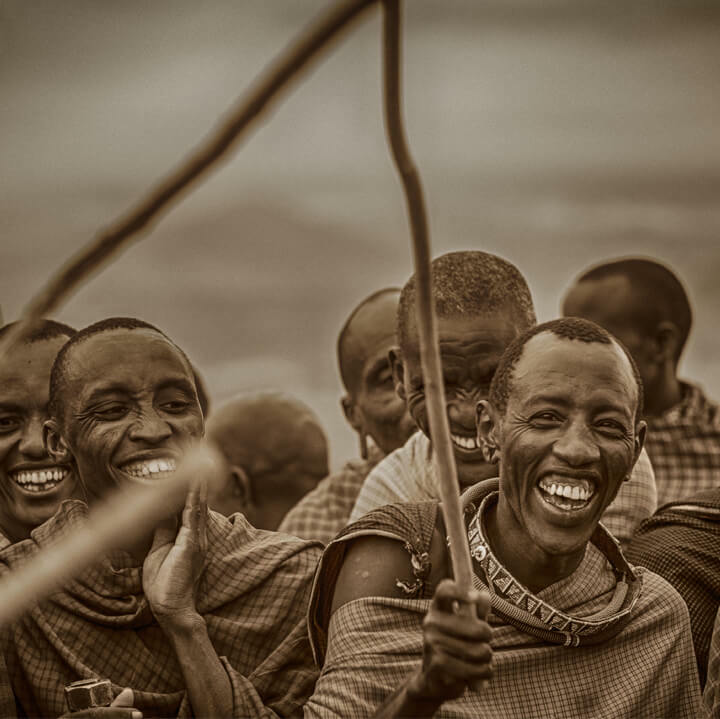 The population of Tanzania is about 37 million, united by a shared experience of nationhood and a common language. Culturally rich, the Tanzanians are famed for their warmth, dignity, and hospitality, from the Maasai in the north to the distinctly middle-eastern inspired Swahili culture of coastal Zanzibar. has some of the most stunning African landscapes condensed into a relatively small area. 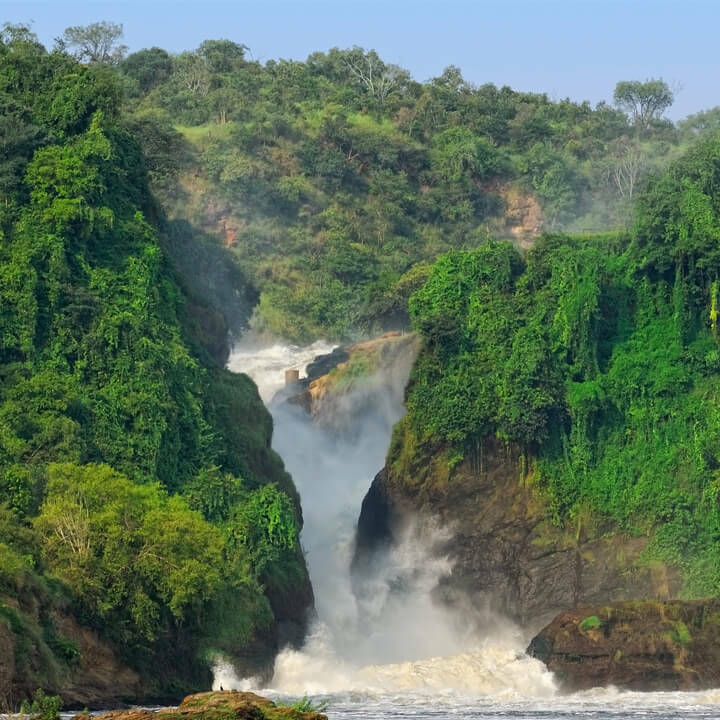 A testament to Uganda’s celebrated term are the almost mystical names given to these natural wonders of which ‘The Mountains of the Moon,’ ‘The White Nile’ and ‘Bwindi Impenetrable Forest’ are just a few. The landlocked terrain is so varied that although an equatorial country, the climate is highly diverse according to altitude and proximity to the many large bodies of water found in a country dominated by Lake Victoria and the Nile basin. Indeed it was the desperate search for the source of the Nile that led to Uganda being colonized by the British towards the end of the 19th century. It gained its independence in 1962. To this day the Nile provides the country with the crucial life-blood, enriching the soil for agriculture, and providing ample tourist opportunities including world-class white-water rafting around Jinja. 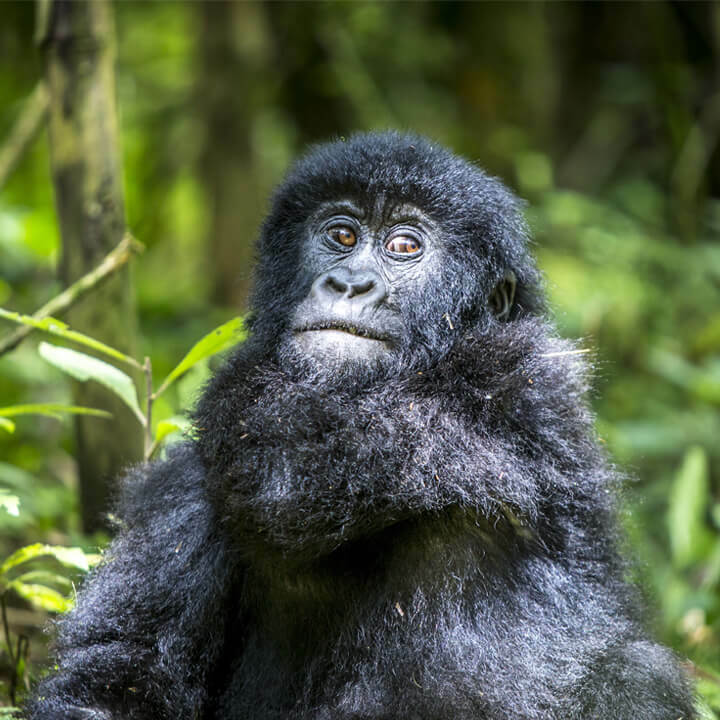 The abundance of water also feeds Uganda’s forests, notably the Bwindi Impenetrable National Park, which is home to hundreds of bird species and the highest concentration of primates on Earth - including half of the world’s critically endangered mountain gorillas. Kibale forest is home to a large habituated chimpanzee population that can be seen on a walking safari. As with countries in the region, Uganda has suffered a past under tyrannical dictatorship, finally ending with the emergence of democracy in 1979. Multiple crises have left Uganda with a very young population, but one full of energy and looking into the future of a modern Uganda, with the desire to give any visiting tourists the warmest of receptions. In colonial times, Uganda was viewed as the very best place in Africa to ‘safari’. From the impenetrable forest, breath-taking and unusual birdlife and challenging trekking simultaneously it feeds fear, phobia, curiosity, and delight - the mighty jungle picture of Africa dreamt of in childhood. Land of the legendary African walking safari, home of the Victoria Falls, the wild Zambezi River, breath-taking lakes and wetlands, a profusion of birds, abundant wildlife, and raw wilderness...all in one friendly country. 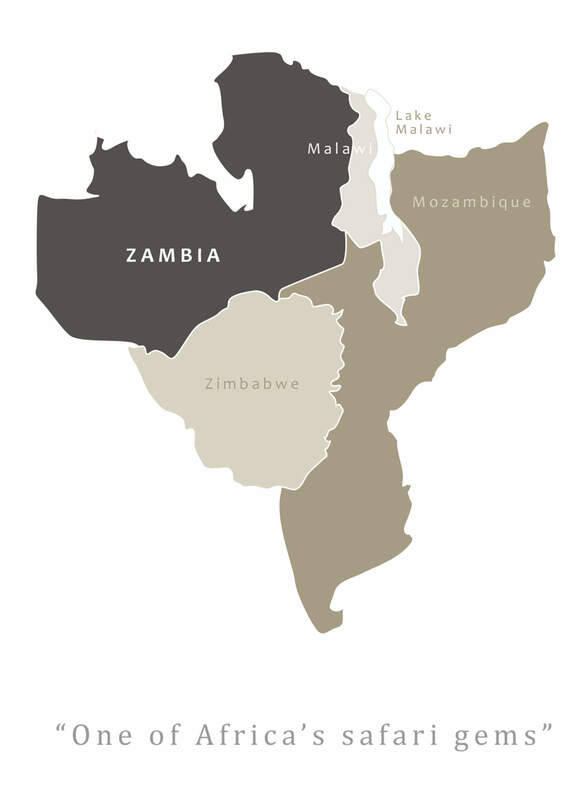 Zambia covers 750,000km square and sits squarely between the tropics. Most of the country is part of a high undulating plateau, deeply incised by the great valleys of the Zambezi, Kafue, Luangwa and Luapula rivers. Due to the country’s altitude and rainfall, the climate is moderate, largely avoiding the tense heat normally associated with the tropics. Formerly Northern Rhodesia, independence came to Zambia in 1964. The country was declared a one-party state in 1972 only reverting to multi-party politics in December 1990. The peoples of Zambia numbering about 12 million, are acclaimed for their charmingly hospitable dispositions and are represented by 72 distinct tribes. Comparatively late in developing its tourist industry, Zambia is blessed with vast tracts of pristine wilderness and has successfully retained an authentic essence of the wild – beautiful and slightly unpredictable. The natural environment is predominantly a mosaic of large and small miombo woodlands, interspersed with open, verdant spaces. The interior is dominated by Lake Bangweulu and surrounding floodplains, the site at which Livingstone finally hung up his hat allowing Africa to retain his heart and spirit. Zambia has the largest water resources in Southern Africa – massive lakes, magnificent cascades and plentiful rivers yielding lush natural vegetation capable of supporting high densities of game. A profusion of 750 bird species, resident and migrant, makes Zambia a birdwatchers paradise. 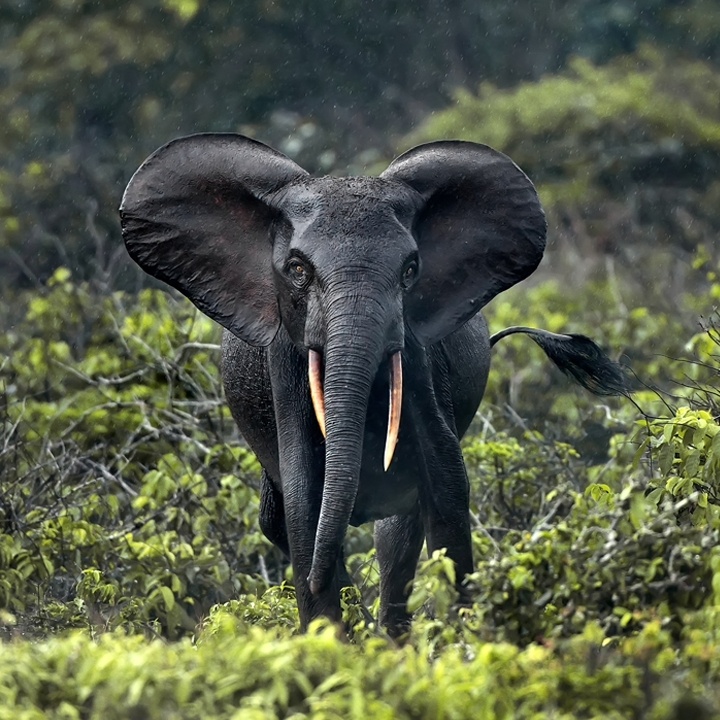 The many protected wildlife areas offer excellent habitats for herds of elephant and buffalo as well as other predators. Leopards do exceptionally well here. Zambia’s herbivores are particularly fascinating for the range of endemic races that have evolved over time due to isolation from neighboring populations. Zambia is one of Africa’s safari gems, relatively underdeveloped and unexplored, where the true spirit of safari is alive and well. This land of the authentic ‘walking safari’ accentuates the feeling of stepping back into a lost Africa. Zimbabwe is a vibrant country with dramatic landscapes, impressive national parks and welcoming people. After some difficult years, it is now returning to its rightful place on Africa’s safari circuit. Zimbabwe is a landlocked country situated between two great rivers: the mighty Zambezi cuts along its northern frontier, forming the border with Zambia, while the languid Limpopo forms the southern border with South Africa. In between, the country has a variety of habitats, from the granite hills of the Matopos to the majestic mountains, lush forests and beautiful rivers of the Eastern Highlands. A Zimbabwe safari can be exceedingly varied. You can go on a game drive in Hwange National Park, take a canoe safari or a walking safari in Mana Pools National Park, fly over Victoria Falls on a Flight of Angels or view the granite boulders and rock art in Matobo Hills National Park. Zimbabwe had all the ingredients for the perfect safari holiday. However, in the decade between 2000 and 2010, its politics caused great damage and distress and the number of tourists plummeted. Today, Zimbabwe is getting back on track. Tourism, in particular, is recovering and new lodges are opening over the country, great news for safari-lovers. In fact, a positive stemming from the political situation is that you can have an up-close-and-personal wildlife experience without the hoards of tourists. Professional guides in Zimbabwe have gone through intense training before qualifying and therefore the standard of guiding in Zimbabwe has always been and is still considered the best in Africa. Attention to detail is of utmost importance to a Zimbabwean guide, and guests can expect to receive personal attention while on safari in here. Zimbabweans have an intense pride in their nation and in their people. Even with the political setbacks, they continue to uphold a reputation for being some of the most welcoming people in the world. It’s a beautiful and resilient place of huge, untouched nature. A nation of only a tiny human population, Gabon has an identity among the most secure countries in Africa. Attaining independence in 1960 from the French, Gabon has remained the envy of its neighboring countries with the 3rd highest yearly revenue per individual on the entire African continent. Cosmopolitan Libreville (the capital) is ranking as one of the world's most expensive cities. With a 3rd of its gross domestic product (GDP) obtained from oil, Gabon has recently realized that it actually offers more to the world. The president His Excellency Omar Bongo, has created 13 national parks in Gabon that comprise more than 11.25% of its area - the second-highest proportion of national park lands in the world. forests, while hippos, whales as well as turtles can be seen along the coastline. There are countless cascading falls, sometimes falls are even 1 kilometre wide. With the large amount of rainforest in Gabon, there are obviously a huge number of birds. With over 670 different species identified in the country, some endemic or regionally endemic, tourism in Gabon is still taking off and so visitors have been known to make significant discoveries surpisingly often. Nowhere else in the world can you see hippos in the surf and elephants wandering the seemingly endless shoreline, even whilst fishing the near -shore waters for tarpon. But, that’s not all! Gabon also has a vibrant cultural scene, with diverse ethnic groups, tasty dishes and a vibrant music scene. This is Africa untamed and an exceptional wildlife destination for intrepid explorers.